The C 414 XL II is the successor of the famous C 414 B-TL II. It shows the unique sonic signature of the highly sought after AKG C 12 which enables lead vocals and solo instruments to be placed even in a dense mix. The unrivalled up-front sound is also well-known for distant miking applications like classic music recording or drum ambience miking. The XL II version differs from the XLS version in one major respect - the capsule. Both, the slight presence boost and the impressive spatial reproduction is similar to the legendary C 12 microphones. For over 60 years, leading musicians and engineers have used legendary AKG microphones to capture their sound so their audience hears every nuance. 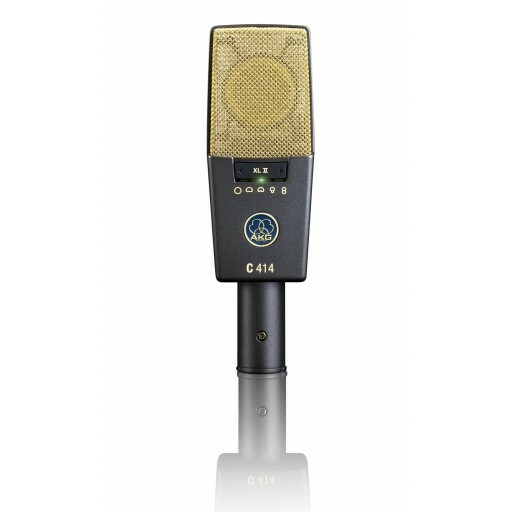 The C 414 family has been one of the world’s most widely-used and respected studio and stage microphones in audio history. AKG has continually set new benchmarks for useful features, improved technical specifications and ease of use to answer requests from ever-demanding recording studios, broadcast stations and audio engineers.